Nickel & Nickel winery, born from a tradition of exceptional winemaking, is dedicated exclusively to producing 100 percent variety, single vineyard wines from the Napa Valley's most significant appellations. John C. Sullenger Vineyard is situated behind our winery in the heart of Oakville, a winegrowing area celebrated for producing exceptional Cabernet Sauvignon. Our home vineyard has been farmed to achieve the purest expression of its place. In 2003 and 2009, we conducted a meticulous replant, tightening the vinespacing and drainage, to maximize grape development and ripening. The 2016 John C. Sullenger Vineyard Cabernet Sauvignon has a beautiful core of plum and black cherry fruits, earth and tea with a rich middle palate. 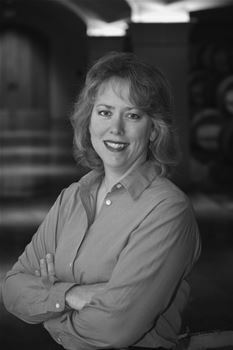 Darice Spinelli joined Nickel & Nickel in 1998, just one year after the winery's debut vintage. Since then she has helped shepherd the development of the winery's portfolio of single-vineyard wines and shaped its reputation as the preeminent authority on Napa Valley Cabernet. Every fall, Spinelli brings in the harvest of up to 15 vineyard-designated Napa Valley Cabernets from a collection of AVAs famous for growing the varietal, including Oakville, Stags Leap, Howell Mountain, Yountville and others. A quest for excellence and the desire to allow the true character of each vineyard to emerge in the resulting wine is the motivation behind Spinelli's work. A Biology graduate of the University of California at Santa Barbara, Spinelli began her career in the wine industry at Inglenook and Beaulieu Vineyard. In 1990, she joined Franciscan Vineyards, and with her first vintage as winemaker, attracted great acclaim from the wine industry's toughest critics. Her tenure with Franciscan and eventual promotion to production winemaker afforded Spinelli the opportunity to produce wines from many growing areas, including the mountainous region of Mount Veeder; the flat, warm Cabernet country in Oakville; Rutherford, with its famed "Rutherford Dust" character; and regions further south to the coastal climes in Monterey. She even produced wines for Franciscan's venture in Chile. In crafting the Nickel & Nickel wines, she sees her role as one of providing harmony to the vineyard, doing everything possible to let the wines sing. It is Spinelli's hope to capture and enhance the natural balance and quality that come from a great vineyard site.